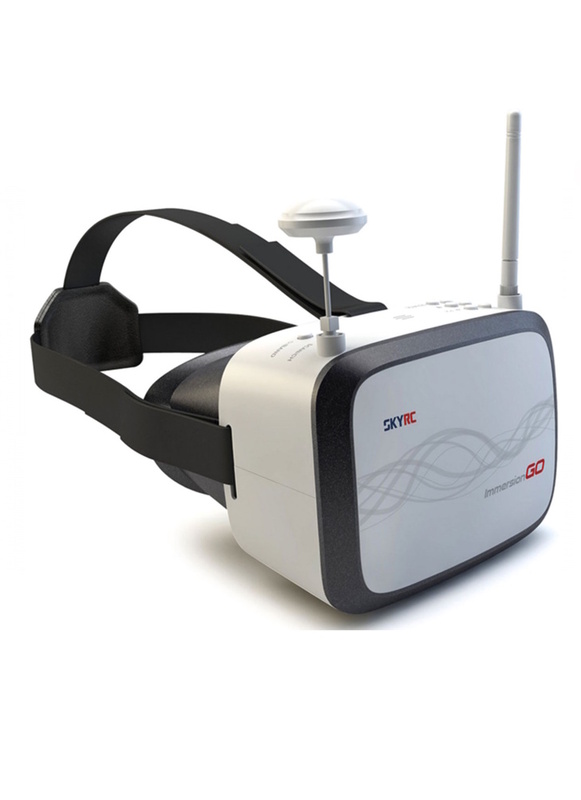 The SKYRC HD FPV goggle with 5.8GHz diversity receivers, can significantly improve reception in the presence of multipathing, by intelligently switching between two independent receivers when signal quality drops. Another useful application of diversity switching is to select the best signal from two antennas, use a patch, and an omni directional antenna to provide 360 degree coverage or use two patch antennas to cover a wider flight area. 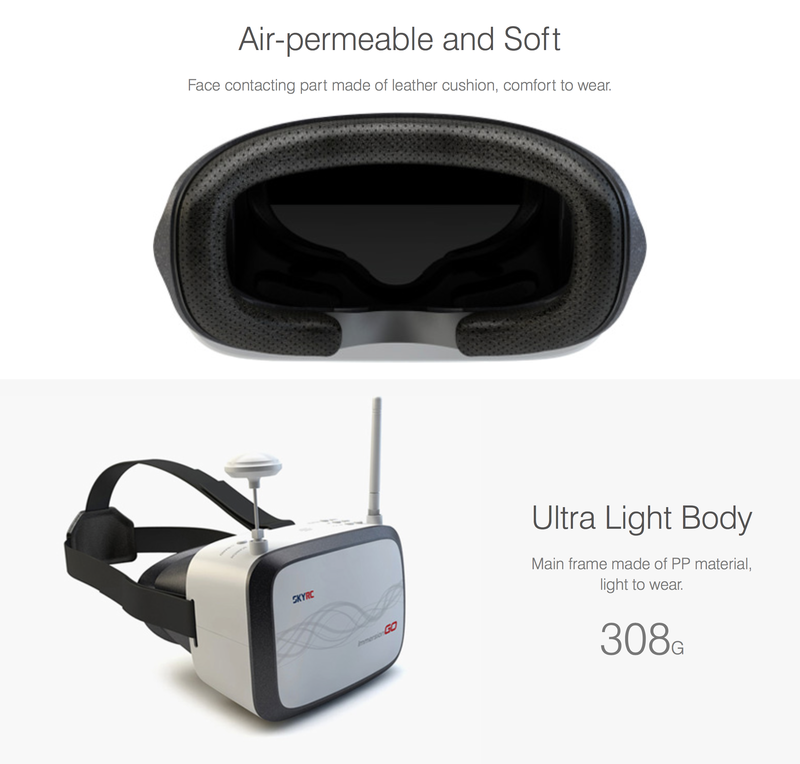 The goggle keeps it super simple for the FPV flier with auto search functionality, easy press buttons, the exact frequency is displayed on the screen so that you never have to guess which frequency and channel you are on, a wide voltage input from 7V to 18V, and 40CH on the 5.8GHz band! Adjustable straps, light weight, high comfort. Mini HDMI input, connect the headset directly to your DJI Inspire/Lightbridge or other HD downlink.